The Essential Large Zippered Tote features a roomy zippered main compartment. 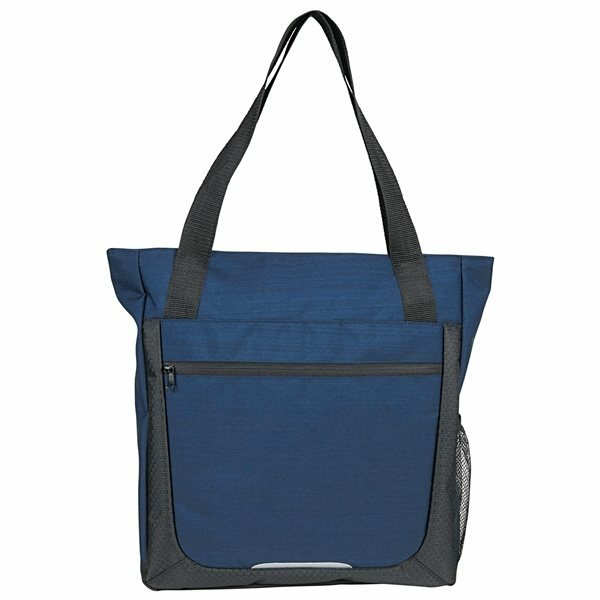 For maximum organization, this tote features a front zippered pocket and a side mesh pocket. This large tote has reflective detailing on the front and a 12" handle drop.